The American Human: Count Me In. I Believe that Charter Schools -- By and Large -- Are a Bust (as in Should Be Busted). Count Me In. I Believe that Charter Schools -- By and Large -- Are a Bust (as in Should Be Busted). Have you ever noticed how many charter-school proponents are fiercely anti-union? Could charter schools be a vehicle for chasing out unions? Methinks so. 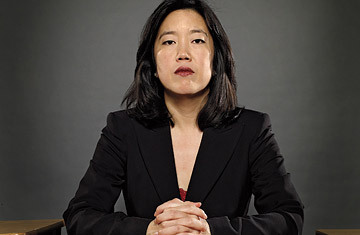 Michelle Rhee came and went. Then we discovered fraud followed close behind. But hey, school reform! As Atrios has said repeatedly, grifters gotta grift.